A general equivalency between the organic nature of materials collected with the use of HEPA (High Efficiency Particulate Arrestance) air filters (indoor and outdoor) and a series of concentrated rain samples has been established. 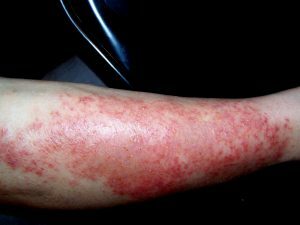 This conclusion is based upon the use of infrared analysis, microscopic examination, and visual examination of the materials. 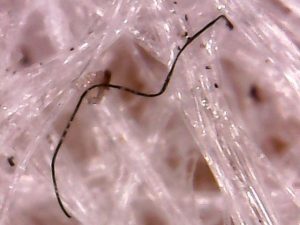 The inherent similarity between the historically designated “environmental filament” and the filaments known to be clearly associated with the so-called “Morgellons” condition must also be accepted as a part of this analysis. This more recent work has been conducted over a period of roughly two years with careful repetitions and redundancies. Fundamentally, the conclusion is logical but nevertheless sweeping in impact; what is in the air is in the water. Furthermore, what is in the air and the water has an important relationship to marked changes in health that affect the general public. What is in the air and in the water is in our bodies. This state has developed in a global and ubiquitous sense for more than two decades, and we must now all share some responsibility to acknowledge and proclaim our condition on the planet. 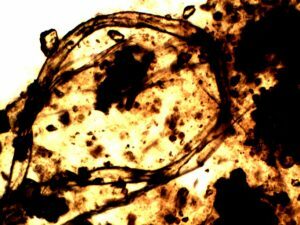 The details of the methods will only be briefly summarized here; they involve long term sample collection and a variety of laboratory analyses over extended time. The photographs below will demonstrate the essence of comparison. 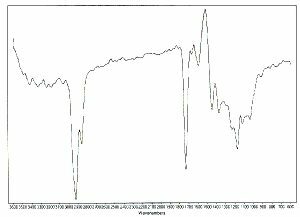 The similarity of the infrared plots reveals to us that the basic organic structure of the extracted materials from the air filters and the rain samples are the same. The details of molecular structure inherent within the plot will be reserved for future discussion; the signature aspect of infrared spectroscopy is sufficient at this point to advance the argument. 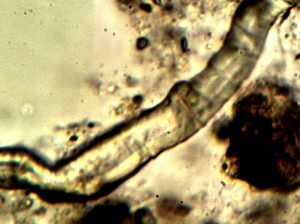 In addition, microscopic examination reinforces that the air and rainfall biological filament samples are identical. 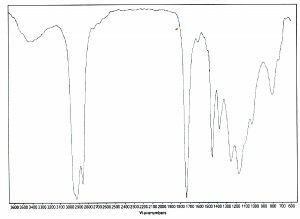 There is little doubt that this biological equivalency is also at the root of the infrared analysis of organics mentioned above. Additional notes on some of the details of sample types and preparation follow at the end of this report. (blue to left, red to right). 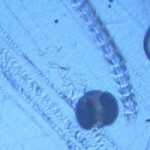 also representative of those that are associated with the “Morgellons” condition. The background mesh network (white filaments) is the HEPA air filter itself. filter element. Results are identical between indoor and outdoor exposures. 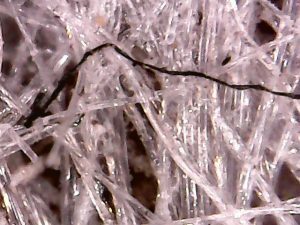 Filaments collected from rainwater concentrate sample. 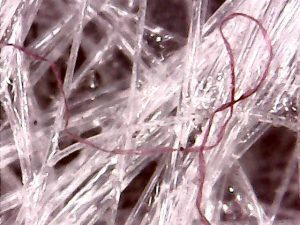 Analysis demonstrates properties that are common with filaments collected in the HEPA air filter. 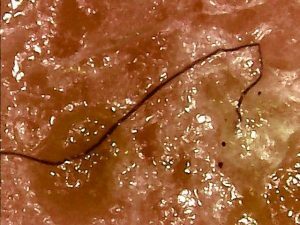 associated with the “Morgellons” condition. to the left. Magnification approx. 150x. HEPA air filter extract against the organic nature of the rainfall concentrate. The samples contain organic materials that are fundamentally of the same nature. HEPA filters are air filters that are quite effective at trapping materials to the micron size level. They have an interesting history and origin, as they were developed as a part of the Manhattan Project in the 1940’s to trap radioactive materials. This filter type is now in common use and affordable. There is a fair amount of usage of HEPA filters in the history of Carnicom Institute (CI) research, as they are a very effective means of collecting air particulates. They are also used in commercial aircraft. One of the ironies of the aerosol investigations over the last two decades is that a ready source of sample collection material has always existed; the difficulty is that of access to the samples. CI has long advocated that designing any single aircraft test for sampling the atmosphere is an inefficient, deficient, unnecessary and expensive approach to acquire information about the state of pollution in the atmosphere. This singular test approach has been advocated fruitlessly by several parties over the course of time. The situation is that a massive collection of particulate samples already exists for examination and analysis, but that access to it is not forthcoming. On a hearsay basis, there is information to indicate that the disposal of the filters is carefully controlled (potentially designated as radioactive?). It is also of interest to mention that, at a very early point of the research, I was given anonymous access in confidence to such a filter from a commercial airliner, along with a laboratory test of the filter for certain metallic elements. That individual remains unknown but he remains deserving of thanks from all of us. To my knowledge, there is no similar test by a member of the public since that time, apparently due to the access issues mentioned above. 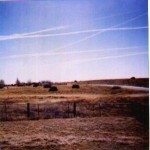 That particular filter did show unusual levels of barium in the test results (and calcium to my recollection), and it was one of the harbingers of testing for atmospheric metals that was to follow. At the time of receipt, no laboratory facilities of any kind were available to CI and the physics of the aerosol operations were unknown to the level acquired during subsequent research over the years. Credit is also overdue to AC Griffith, now deceased, for his early role in stimulating interest in the electromagnetic aspects of the aerosol issue. The interplay between ionizable materials and electromagnetics subsequently became a dominant theme of CI research, and the contributions of both of these individuals are to be recognized in that history. In the case of the current research, two indoor and one outdoor HEPA filters have been examined. The indoor filters were exposed to long term collection (6-12 months) and the outdoor filter is exposed under short term forced air conditions. Laboratory testing depends upon the sensitivity of the instruments employed and with that sensitivity comes cost. One of the methods of compensating for decreased sensitivity is to allow for an increased time of collection. This is the preference here. As such, one indoor filter was allowed to run its course for approximately 6 months, and the second indoor filter ran close to one full year. All filters are operated approximately 20 feet above ground level. The history of work includes the use of additional outdoor HEPA filters. 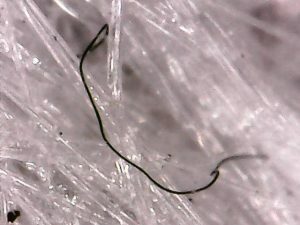 Some of the larger pollutants, e.g., the filament samples, can appear quite readily subject to the microscope. The longer term goal in this project was to collect the micron size material that is invisible to the eye until sufficient mass has been collected. This is the source for chemical and spectroscopic testing in this case. In the case of this paper, the emphasis is only upon the signature aspect of the spectra, as the purpose here is to compare to sampling from a different environment, namely, that of rainfall. This comparison is what is shown above and the point of equality or high similarity is made in the process. Rainfall presents even greater difficulties in the sample prep arena. The sensitivity issue discussed above is front and center, and the solution to the problem in this case is to acquire a greater volume of rainfall. Adequate sample volume is definitely an issue, and fortuitous periods of rain will be required. Non-detrimental evaporation and condensing of the sample will require a fair amount of patience, but it can be accomplished. The samples of this paper were collected in 2016 and were condensed to roughly 5% of their original volume.The organic materials were then removed from the water using a non-polar solvent extraction method for subsequent infrared analysis. Additional extensive studies were completed on these samples in the previous year, and they have been recorded in a series of papers on this site.